Golden Nugget is the perfect name for this macho! We knew right away when he was born that he was destined for great things. 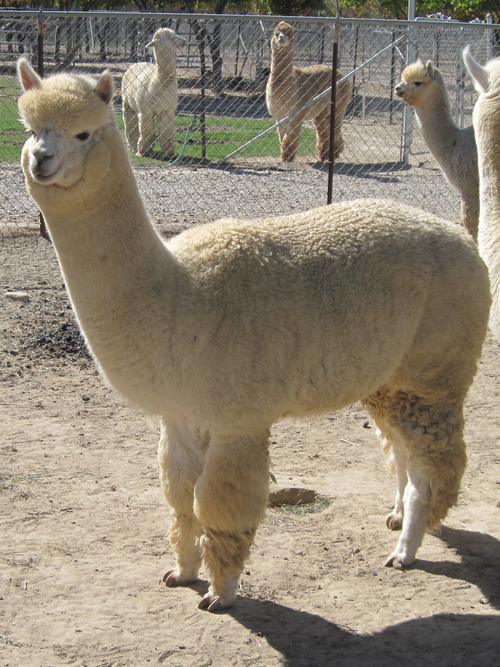 As a cria he had very crimpy, dense fleece and a presence about him that shouted "I am going to be an awesome herdsire!" Duchess of Somis is one of our very first alpacas. She has been a great mother who has provided us with 6 nice offspring. For her final breeding we matched her up with out multi champion RKA Golden Nugget. We could not have been more pleased when this cria was born. Her boy Klondike is what every breeder hopes for and then some. Duchess is now in retirement and living out the rest of her life in comfort here on the ranch. What can I say about Klondike? He is a chip off the old block. He is his daddy's boy, only in white! Klondike is the son of our Multi Champion winning herdsire RKA Golden Nugget. 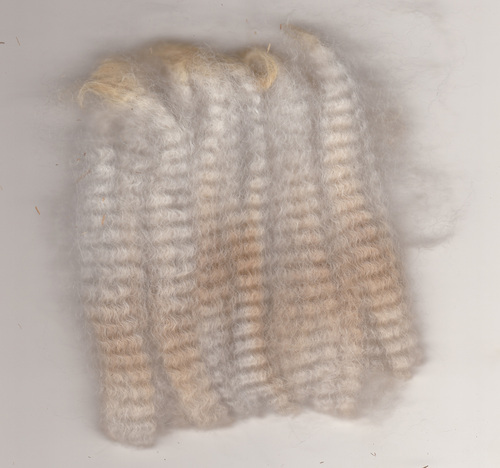 Klondike has his dad's density, crimp and fineness. 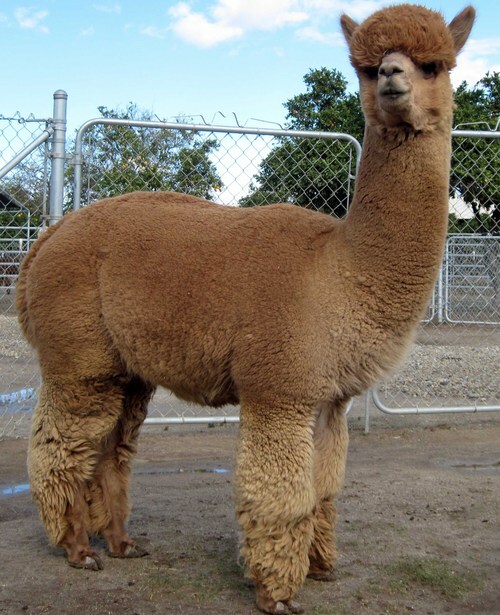 He will be an excellent addition to anyone's herd that wants to produce crias with the same fleece characteristics. Klondike has his dad's mellow disposition and gets along well with other males. 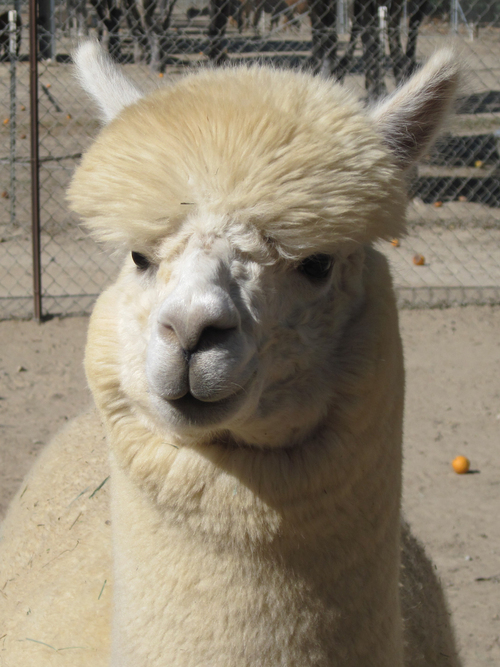 We have stopped breeding at our ranch due to the size of our herd, so Klondike has not had the opportunity to breed. Klondike is looking forward to beginning his breeding career and will make an excellent herdsire! Klondike has not been registered with AOA so as the new owner you can register him with a name of your choosing or we can register him prior to purchase using our name. Fiber samples available on request. 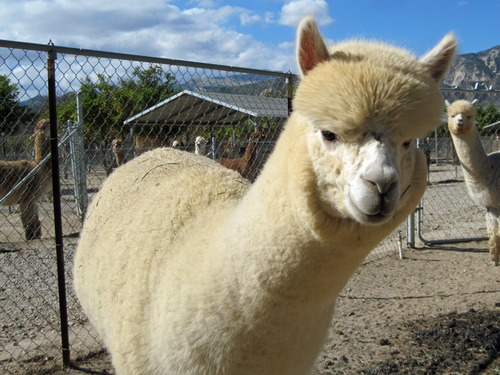 NOTE: We reserve the right to refuse any sale of our alpaca if the buyer cannot provide evidence of suitable housing and knowledge of proper care for our animals.